First item is where has the workshop been run since our last meeting. If anyone else has run it, please do let us know. I’m hoping that once I connect with Larry and get the training, I can run it here (Ottawa) in September. That’s my goal. Yay @miriamgoldman. That would be great. I’m a stats fiend and I can’t stats without all the stats, so I want to know who has run it. Haha. We are training up our team internally to start running workshops themselves. I think most folk have received the training now or will soon with Larry before end of June? Call out to anyone we are missing in our team who wants it? Let me know here or after the meeting. I am highly encouraging our team members to run it if they can. It’s the best way to understand what we are doing in our team. Plus it’ll make a huge difference in your community. Said workshop being Speaker Training which has optional Diversity Outreach components to it. A thank you to @dianewallace and @maryjob who are filling in for @cguntur while she is in transit on a plane for a few days: They’ve been answering our HelpScout queue (folks asking for workshop training) and filling out our spreadsheet. 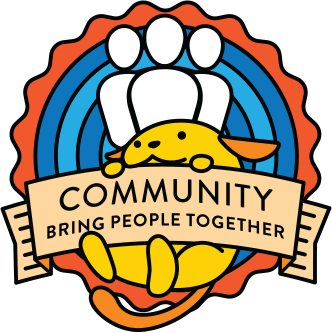 Here is a big thing that is happening: WCEU Contributor Day is tomorrow! @tinat is going to be there and will lead items for our team. Which Meetups have run our Speaker Training? Looking through the Meetup titles. It’s quite a bit, so I don’t expect all of it to get tackled. They’re all the options. It would be great if we could start following up with the folks who have run the workshop. Find out what worked, what didn’t, what they needed to change for their region in the world, what kind of support they would like next, and anything else they would like us to know. Any volunteers who are here today? I’d love to tag-team with someone on that. I can help out following up. Ohh, great idea @miriamgoldman. It could be a multiple person thing. And I know you’re too busy to be solo on something like this, you go-getter you. Yeah @dianewallace! Alright, I will speak with you both after. It could be up to 3 people, so any other volunteers now or who are reading this later are also welcome. There are some Meetups who would like to get trained soon for their upcoming WordCamps. Like within a few weeks from now. If anyone feels comfortable running the recording and answering questions (and send me the questions you can’t answer), please let me know. And if not yet but you want to work up to it, you could always shadow when myself or when @lswanson runs it. I’m thinking of possibly even @angelasjin, @MelanieMartin, @cguntur? 🙂 Shadowing? The rest of the time is open discussion. Alright, I think this is a wrap. Thank you all for all you bring, whether it’s doing things, bringing your energy, your ideas, etc.